Same. Except I hate the idea of boxing things up because I’ve worked so hard getting everything plugged in, arranged and hooked up with midi and USB. My goal now is to become disciplined and focus on 2 or 3 items at a time and create music rather than spend hours rearranging, testing things and making templates. cheers, can be a bit distracting as well as inspiring! Yeah I’ll be fine . I did get caught on knicking a table for my room though. Setting everything back up, after 9 months boxed up. Just need to remember where I put the box of cables. I haven’t actually made a full track in 7 years. Hoping this is the start of new beginnings & less anxiety/depression. Just relax and enjoy the sound we all here have this boxes full of cables , don’t we ? last summer, we re-finished a room in our house which then became my studio. 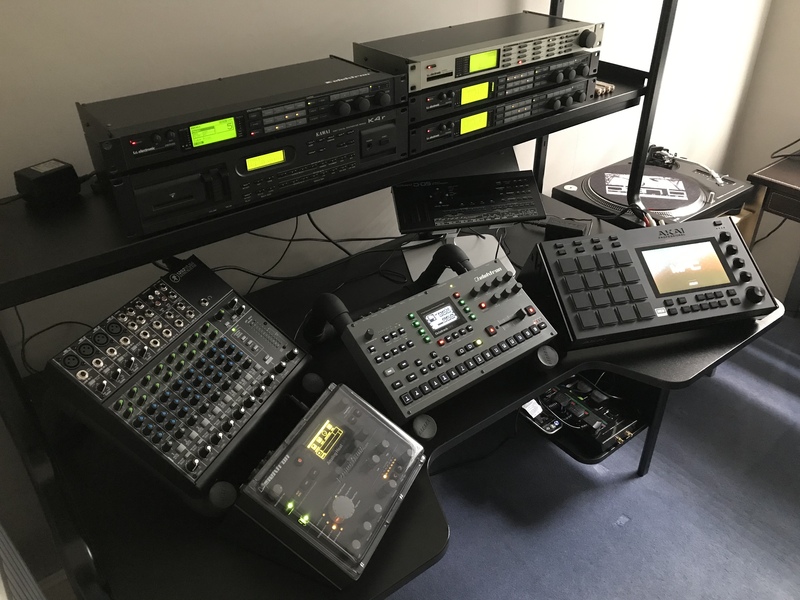 so when I moved in, I un-plugged all the power, audio, MIDI and CV connecting my studio, and threw it into a big pile on the floor. my wife almost vomited. something about the visual of it all, and the idea that I’d have to plug it all back in, just completely overwhelmed her. IKEA FREDDE Workstation Black 185 x 74 x 146 cm The workstation is extra comfortable to work at, because the contoured table top allows you to sit close and supports your wrists and forearms. I know that feeling well. Working on Kondo-izing my studio. Hopefully will never return to stacks of synths and endless spaghetti wires. Just not worth it to me anymore. A couple times a year I’ll land a server room clean out, The mess from demoing can be overwhelming when lumped into that gnarly pile. Though those jobs are the most liberating in the end, it’s like a piece of art when back together.